Orthodontics is one of the most misunderstood dental industries there is right now. When people think of orthodontists, they immediately imagine teenagers with metal braces. This vision of what orthodontists provide is highly limited. There’s so much more involved with orthodontic treatment, and we want to take this opportunity to debunk some of its biggest myths! Orthodontic treatment is not only for children. All ages benefit from the services of an orthodontist. According to the American Association of Orthodontists, adults are seeking orthodontic treatment in record numbers. In fact, one of every five patients in orthodontic treatment is older than 21. That’s more than 1.5 million adults receiving care by an AAO-certified orthodontist each year. Whenever anyone says that they can’t go to an orthodontist because they are too old, let them know that they can absolutely make an appointment for their orthodontic needs. People often believe that orthodontic treatments are just for cosmetic purposes. Yes, braces align the teeth, but they do a lot more than make a smile look better. Braces can provide a lot of oral benefits, such as making it easier for people to brush and floss, reducing the chances of cavities and periodontal disease, alleviating speech impairments and more. Braces are also not the only services orthodontists offer that improve oral health. They also help people with TMJ disorder, jaw bone abnormalities, and over or underbites. If these situations are not taken care of when people are children or teenagers, they can seek treatment as adults. This is simply not always true. Depending on the treatment needed and the condition of the teeth and mouth, it can take as little as 12 months for people to achieve their results. For more severe cases, it may take 3 years, but again, that’s when the teeth, jaw, etc. need a lot of work. To know how long your orthodontic treatment will take, contact an orthodontist. Your orthodontist will perform a thorough examination and provide a timeline for the treatment process. With the prevalence of online orthodontics, that promote less-expensive dental work without visiting a doctor’s office, many people believe they can get the results they want without stepping inside of an orthodontist’s office. Unfortunately, this is not always true, and it has caused a lot of people pain and suffering. It is crucial for people to see an orthodontist for care. A lot goes into improving the appearance and functioning of the mouth, and all of it has to be taken into account before treatment can begin. Monitoring treatment throughout the orthodontics process is crucial to ensure that you get the results that you want. 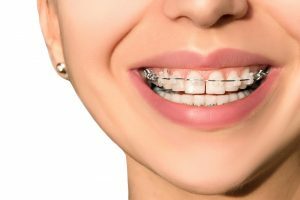 Metal braces are still available, of course, but they aren’t the only types of braces orthodontists offer. Braces can now be ceramic, lingual, self-ligating, and clear. The type of braces you decide to have depends on your goals and what makes you feel more comfortable. If you’re interested in seeing an orthodontist in Omaha or if you have any questions about orthodontic care, contact Wees & Low Orthodontics. Our orthodontist is highly experienced and welcomes patients of all ages who wish to improve their oral beauty and health.